Park Forest, IL–(ENEWSPF)–January 6, 2017. Approximately 4,000 students in 11 cities across the country will be the first to receive a free mobile device and free high-speed wireless internet connectivity through Sprint (NYSE: S) and the Sprint Foundation’s 1Million Project pilot program. Upon successful completion of the pilot program, which begins this month, schools will also be invited to join the multiyear initiative through its entirety when it rolls out nationwide rollout for the 2017-2018 school year. “We’ve decided to ask teachers and program sponsors for recommendations and honor roll students to reach our targeted,” said Park Forest Teen Services Coordinator Adina McCollough. 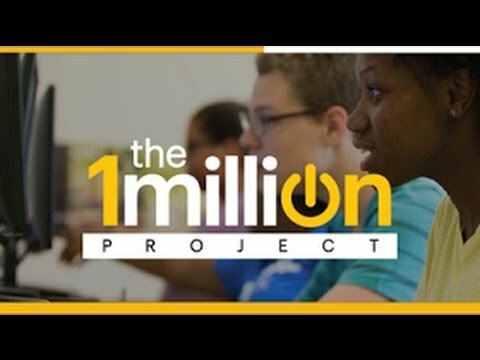 Sprint customers and anyone looking to support the 1Million Project may contribute financially or donate a used mobile device. Visit a local Sprint store to make a cash donation or to donate an old mobile phone, tablet, or hotspot. Used mobile devices can also be donated online. 1 Devices will be recycled or resold with net proceeds benefiting the 1Million Project. Visit www.sprint.com/1millionproject for more information, and follow and support the program on social media by using the hashtag #1MillionProject.